Eleni Schumacher is a Sydney-based actor with experience in theatrical production, writing, collaborating and directing for theatre, and voice work. She trained with New York’s Atlantic Acting School (2012-2013) after completing a Bachelor of Global and International Studies (Anthropology) at the University of Sydney (2012), and being an executive member of Sydney University Dramatic Society. 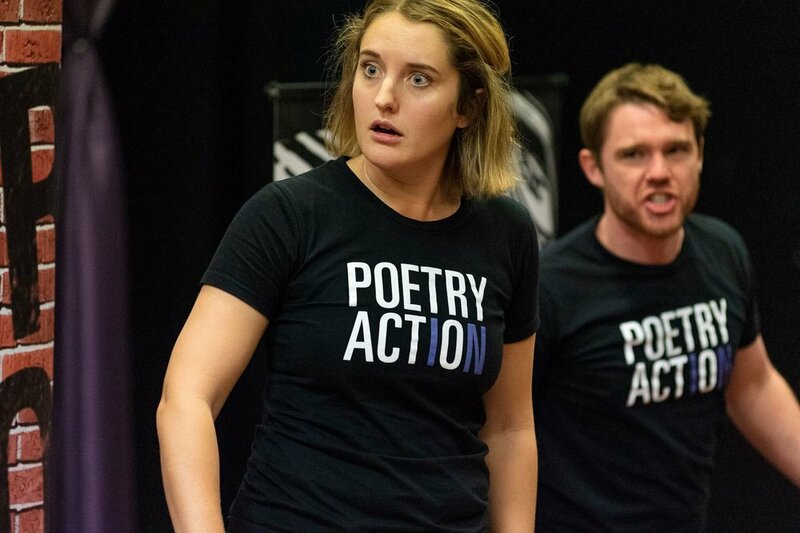 Most recently, Eleni completed a tour in Poetry In Action’s 2018 Troupe, performing over 350 shows to students across Australia, New Zealand and Hong Kong. Whilst in New York, she appeared in independent feature film Night And A Switchblade. She has since appeared in several short films in Sydney, including Close, Schadenfreude, and Troy’s Story: Earth Hour Projects. She has appeared in several television commercials, including Allianz, Southern Comfort, Coles, Aldi, and Mitsubishi. TV appearances include A Place to Call Home, Deadly Women and Dark Temptations (Discovery Channel). Recent theatre credits include Victory Over the Sun (Sydney Chamber Opera, 20th Biennale of Sydney), We Are the Ghosts of The Future (7-ON Playwrights, Village Bizarre), Great Island (Dir. Pierce Wilcox), Dead Time (Lace Balloon) Details Unknown (Dir. James Dalton, Sydney Living Museums), and Crave in the 2016 Sydney Fringe Festival (Montague Basement). As a voice artist, she is a regular performer and recorder for Spineless Wonders Publishing’s event Little Fictions at Knox Street Bar, with recordings and performances at Sydney Writers Festival, Sydney Fringe, and VIVID. She has also been heard on ABC Radio National’s The Science Show and Life Matters, playing character roles such as Hedy Lamarr and Beatrix Potter. Eleni is also an experienced children’s entertainer, and a regular acting technique tutor at the Australian Performing Arts Grammar School. Eleni has worked as assistant to Wayne Blair for post-production of Dirty Dancing (Lionsgate) and pre-production of Cleverman Season 2 (Goalpost). Eleni is represented by Duke Actors Management, Sydney. Photo by Patrick Boland Photography 2018 for Poetry In Action.